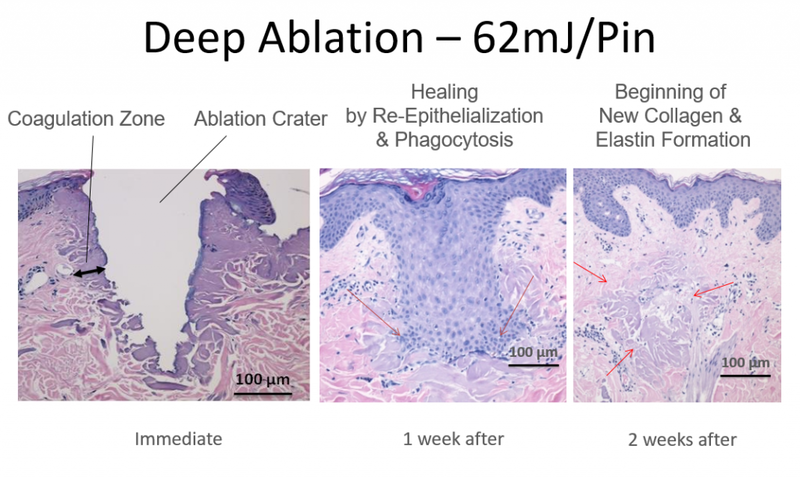 Patients interested in an all-inclusive, comprehensive skin resurfacing treatment that can target a wide variety of aesthetic issues may want to consider FRACTORA™. Located in College Station TX, Artisan’s Rejuvenation MedSpa specializes in effective and patient-centered total body aesthetic treatments. Contact us today for more information about our practice, or to schedule a consultation appointment. FRACTORA™ is a radiofrequency skin resurfacing treatment that brings about the same results as CO₂ resurfacing without the extended redness, downtime, and negative side effects associated with it. 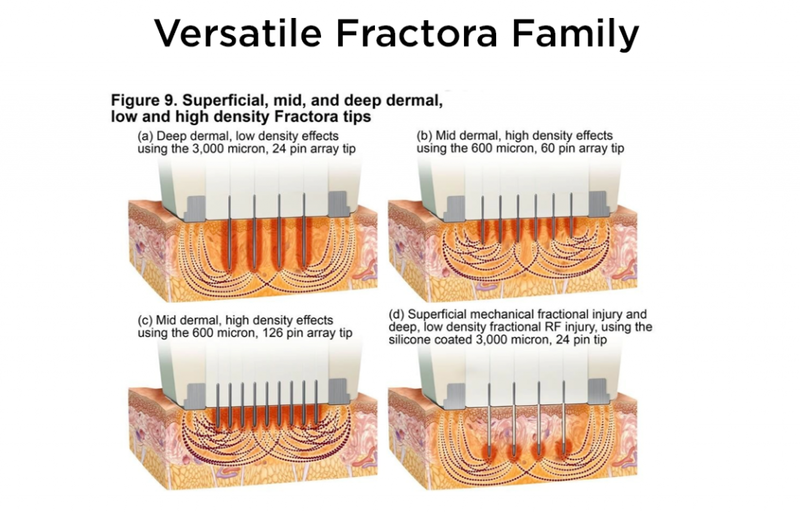 FRACTORA™ can treat a broad range of skin abnormalities and leave patients looking and feeling years younger. 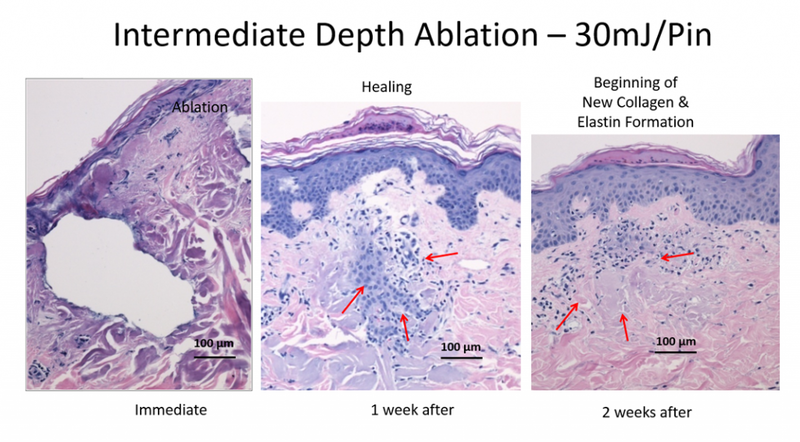 FRACTORA™ uses two different techniques to stimulate skin renewal: targeted bipolar radiofrequency energy and microneedling. Both of these techniques stimulate healing, but in different ways. Radiofrequency energy passes through the upper layers of the skin, heating up its deepest layers and structures. This heat stimulates the creation of collagen and triggers other natural healing responses within the body. Microneedling uses tiny pins to further trigger this healing response by creating thousands of tiny micro lesions on the surface of the skin. Healing factors rush to these microlesions, repairing and rejuvenating the existing skin. This way, healing is stimulated in all levels and layers of the skin, while still being spread out enough that downtime is significantly less than that of CO₂ resurfacing. What are the Benefits of FRACTORA™? While this treatment is strong enough to tackle a wide variety of issues, it is gentle enough to be used on places like the lower eyelid, upper eyelid, smile lines, cheeks, and mouth. On top of all of these great benefits, FRACTORA™ is capable of treating a broad range of patients. While CO₂ resurfacing can be less effective and potentially damaging to individuals with darker skin, FRACTORA™ can be used on all different skin types. Depending on the depth of skin that needs to be targeted during treatment, an anaesthetic or numbing cream may be used. Recovery from each session typically takes between 7-10 days, with some deeper treatments taking longer. Swelling and bruising is common within the first week. While results of the treatment are not immediately apparent, they should be visible with two weeks of treatment, with full results showing after six months. Most patients need 1-4 treatments depending on the severity of the skin condition being treated. FRACTORA™ has helped patients around the world gain the confidence they need to be the best versions of themselves. For more information about the many exciting benefits of this breakthrough treatment.